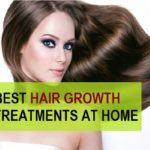 A head full of hair looks good but when the hairs are on some parts like chin, cheeks, upper lip etc they become unwanted for us and we think about getting rid of unwanted hair. They can be embarrassing when they are extremely long on the upper lip or chin. When the skin is devoid of facial hair, it appears smoother and radiant, thus giving you extra confidence. Those unwanted facial hair can also be bleached which makes them lesser visible but the golden colored hairs are still visible. 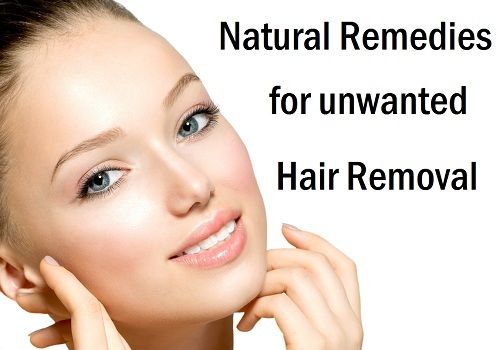 Therefore unwanted hair removal altogether is the best solution. There are permanent unwanted hair removal methods like laser hair reduction, waxing, threading, electrolysis, that can range from painless to painful though apart from that there are some natural remedies and treatments that can remove unwanted facial hair for you. These natural ways are cheap but do need some extra time to show up their results. Here are some natural treatments by which you can get rid of the unwanted hair from the upper lips and rest of the face. 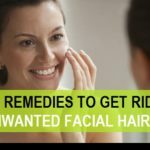 This is one of the oldest and most commonly used natural remedy to get rid of the unwanted facial hairs. It’s a safe remedy that can be used by men to remove unwanted body hairs. Firstly, you have to prepare a mask with gram flour, milk and turmeric. Take 2 teaspoonful of gram flour and 2-3 pinches of turmeric powder in a small bowl. Add some milk into it to make a paste of thicker consistency as runny paste will do no good. Apply the paste on the face. Keep the layer thicker and let it dry. It may take some extra time. In the meantime, you may relax. Once it is dried, like mentioned earlier, moist your hands, which will make the process of removing this face mask easier and effective. Start scrubbing in the opposite direction of hair growth concentrating on chin, cheeks, forehead and upper lip where the hairs are more likely to be denser. Do this gram flour treatment thrice a week to remove unwanted facial hair permanently and to experience smoother, fairer skin. Apart from the facial hair, this treatment can be done in the same way for the legs, hands and other areas in concern. This is a very safe treatment to remove unwanted hairs for kids who have loads of hair on their hands, legs and face but remember to be gentler with the scrubbing as kids’ skin is more delicate than the adults. Egg white is used in so many ways for skin whitening, tightening, as a hair mask but that is not all, egg white is also used to remove those facial hair that you don’t want on your face. Take egg white in a small bowl and put some fine sugar. Avoid too large chunky sugar. Brown sugar would be better in this case, if you can find it. Mix the egg white with 2 teaspoonful of sugar. The paste should be of slightly thicker consistency. Apply this all over your face. Let it dry and once dry, with circular scrubbing motion, get rid of the pack off your face and wash the face with tepid water. This should be done 3 times a week to get good results. While scrubbing try to scrub off in the opposite direction of the hair growth that way the hair removal will be quicker. Concentrate more on the areas where hair strands are there like cheeks, upper lip and forehead. Avoid eye brows though. 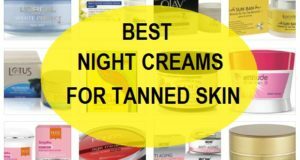 This natural treatment will make skin smoother, clear and brighter. 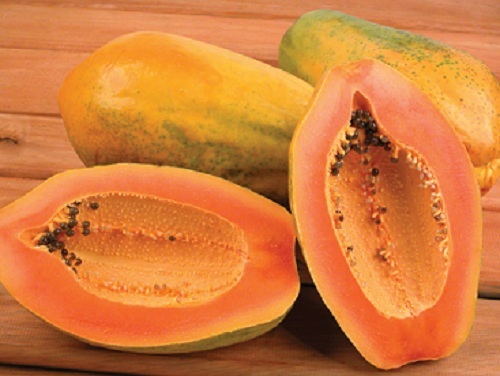 Papaya is a multipurpose fruit with loads of great health benefits and wonderful beauty benefits. The presence of the most important active enzyme called papain is what makes this fruit miraculous. This enzyme not only naturally makes the skin fair but also retards the hair growth and acts as natural bleach for skin. Papaya when mixed with some gram flour gives amazing results in removing unwanted facial hair permanently and that too naturally. Take 2 teaspoonful of papaya paste/pulp and add some gram flour in to. You have to decide according how much gram flour you should put to keep the paste thick. Once you get that thick paste of papaya and gram flour. Apply it all over your face, leaving the eye brows. As mentioned earlier, apply the paste in the opposite direction of the hair growth. Once it gets dry, remove it with the fingers. This remedy is ideal to remove unwanted hair from the body as well other than the facial hair. Lentils also known as dals are very popular in India. Do you know that you can make a dal face mask that will gradually remove the unwanted hair from the face permanently. Yes, it would. With this lentil face mask, the hair follicle gets thinner and eventually the growth will be significantly reduced. You will need Urad dal and Masoor dal. Soak half cup of both the dals at night. The next day, grind them and make a paste with water. Apply it on the face. Wait for the face mask to get completely dry. Once dry, moist you hands with water and gently scrub off the mask in circular motions off your face. Do this at least twice a week to reap the benefits and get rid of unwanted facial hair. Another natural ways to remove unwanted hair from the face is with oatmeal, honey and sugar which can be tried by both men (body hair) and women though it shows good and quick results with women’s thinner, softer facial hair. Take 2 teaspoonful of oatmeal and 1 teaspoonful of honey with 2 teaspoonful of sugar. Mix them well. Apply on the face with opposite direction of the hair growth. Once the face mask gets dry, remove it with fingers. 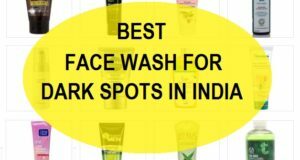 It makes the skin smoother instantly by naturally exfoliation it. This remedy should be tried 3 times a week to remove the unwanted hair from your face. Do you know that sugar and lemon juice along with corn starch can also help you in removing unwanted hair from the face naturally and permanently? Take half a cup of sugar and some lemon juice into it. Mix it well and then add some cornstarch. Apply this thick granular paste on the face. When it becomes dry, scrub it off with your fingers. 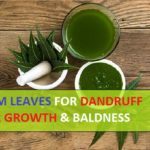 Concentrate on the areas where hair growth is more. 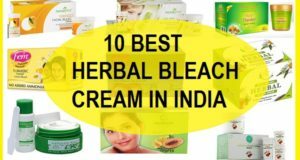 It is a good natural way to get remove unwanted facial hair and also the unwanted hair from the other body parts like legs, arms etc. This is yet another remedy to remove unwanted hair from the face with orange peel powder. 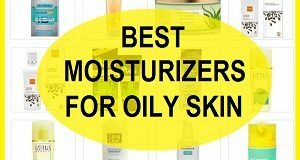 It is very good for oily to combination skin. You will need 2 teaspoonful of orange peel powder, 1 teaspoonful of honey. Mix both of them well in a small bowl. You can increase the quantity based on your requirement. Let it dry. When it is semi dried. Yes, due to honey, it will not dry completely. 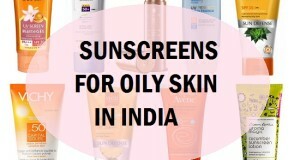 Gently take it off from the face by rubbing in circular upwards motion. Wash the face with plain water afterwards. This brings and instant glow on the face and with regular usage this natural remedy will reduce the unwanted hair from the face. So, these were the best and easy remedies to remove unwanted hair from face and body. 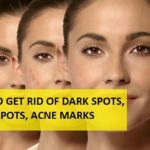 Make sure that you do not have any painful acne while you’re trying this treatment as that can be very uncomfortable, same applies for the other treatments listed here. To get good and faster results, try to stick to these home remedies for unwanted hair removal and do them regularly with patience. Thanks for your very useful post. I am also an advocate of making use of what’s available at home to make us look beautiful. This is a money saver. Wow! SO MANY great ideas here! I love how natural they all are. I think if you are prone to ingrown hairs, these really can be effective in preventing that as well! Yes, surely they would! Thank you!! 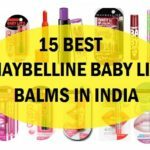 Do these work when removing extra hair growth on forehead too and would they go permanently after prolonged use of these methods? Actually I started shaving my forehead n now those hair hv become more hard to get shaven due to which the skin of my head is turning a little greenish……wud these things really work in a condition like this?????? Hi Sam, These have to be used for a long time since they are home remedies. 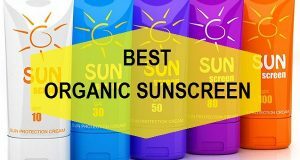 I would advised you to scrub the face that way the ingrown have and the greenish looking skin area problem can be tackled. Yes, you can use milk powder, that will do. can u suggest me on same. hi, my daughter’s age is 12. She has hairs on her face, I am really worried for her, can you suggest any home remedy for hair removal. I heard we should not use anything in this age, is this true. Please suggest. Yes, that is true but now that she will be a teenager, you can sue besan paste. You can try using besan and mild paste. Scrub it off the face when it gets dried. This can be done 2 times in a week. I have unibro .. And i have extra hairs above my beard portion … What should i do to remove them permanently ? And how long will it take ? ..
For permanent hair removal you can go for laser treatment but that can be expensive and home-remedies takes time. If you wish you can try applying a paste of besan with turmeric daily on those hair and scrub off when this gets dry. This will thin out the hair and then remove them permanently. Hi, I am Rajesh & I am 18 year old. I had some hair on my chest and tummy. I want to remove this hair permanently. what natural remedies process I should try????? please suggest me. Will it worl for eyebrows? If we dont want to trim or thread them? ?